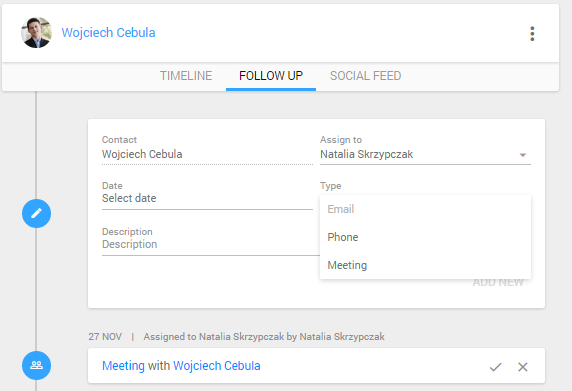 In InStream you can add follow up in order to be reminded of your upcoming tasks. 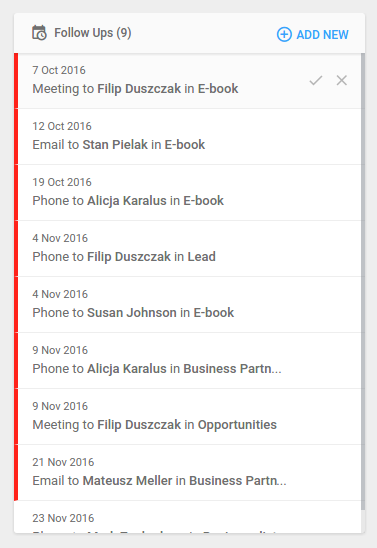 Click on the right relations list and choose the contact to which you want to add the follow-up. Click on the “Follow-up” button above the timeline. Next, choose a person to who you want to assign the follow-up. Then set up other parameters. 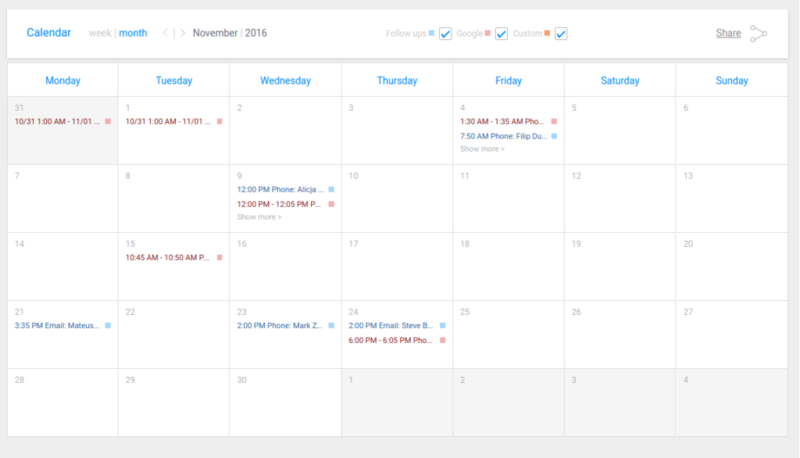 Step 3: See your follow-ups on the dashboard and on your calendar. On the dashboard, you can see your followups in the chronologic order. Once you have taken care of your task click on the tick icon to close it. Notice: On the dashboard, you won’t see follow-ups which need to be handled in more than 24 h.
You can synchronize your calendar with Google Calendar to have all your tasks in one place. Learn more how to add events and comments to your timeline.